Crimefighter, knitted or “diamond” style? Keep suited and booted with our newest releases, which range from special editions of the PUMA Suede in collaboration with Warner Bro’s Batman or Diamond Supply Co., to the newest bright football boots and apparel to take you through into 2017. 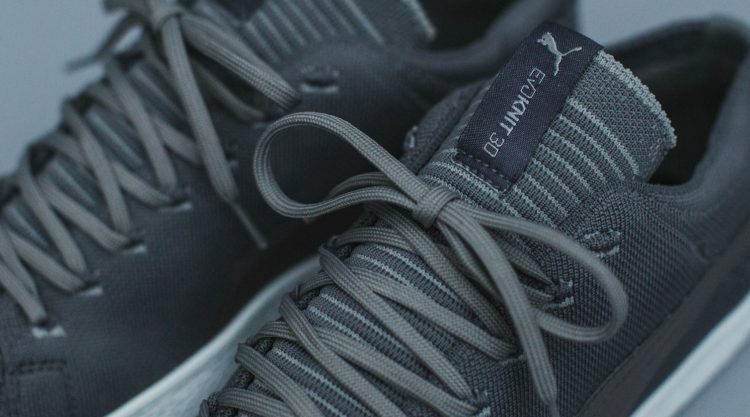 We’re back on the Gotham City blocks for another season of the PUMA Batman collection, which consists of classic sneaker silhouettes, sleek apparel and accessories. 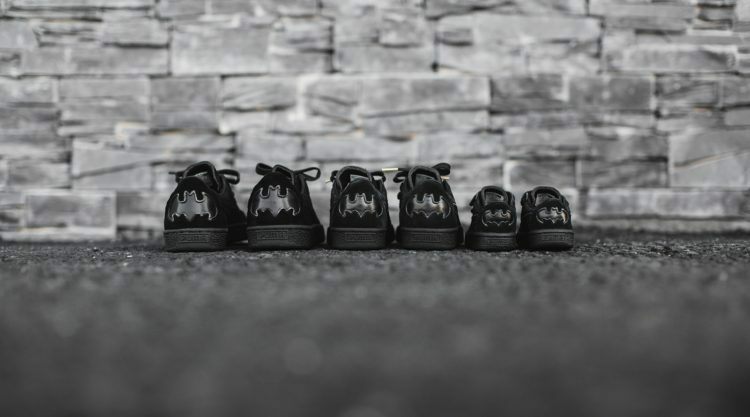 Suitable for fearless crimefighters of all ages and sizes, the PUMA Batman Pack includes styles in both mini and adult versions. 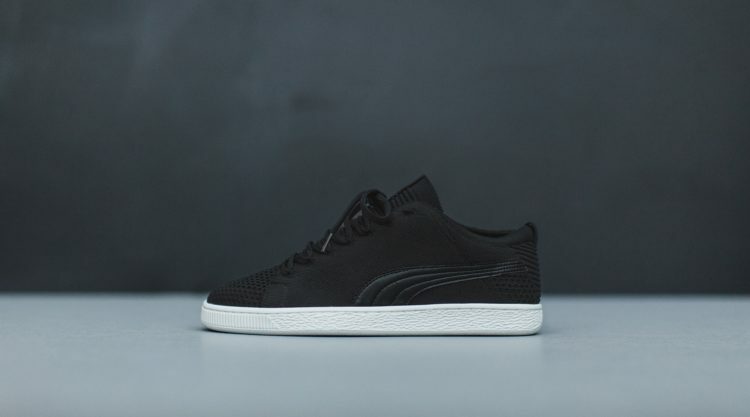 Headlining the collection is the classic PUMA Suede in a stealth all-black number and all-over deboss of the iconic Bat-Signal. 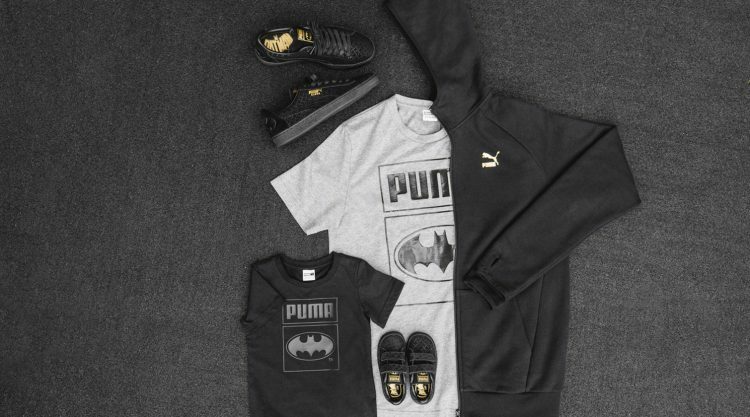 The apparel selection features tees with bold PUMA and Batman branding on the chest. Releasing ahead of the full PUMA Batman collection dropping in stores in Spring-Summer ’17, the pack gives you a taste of what’s to come. 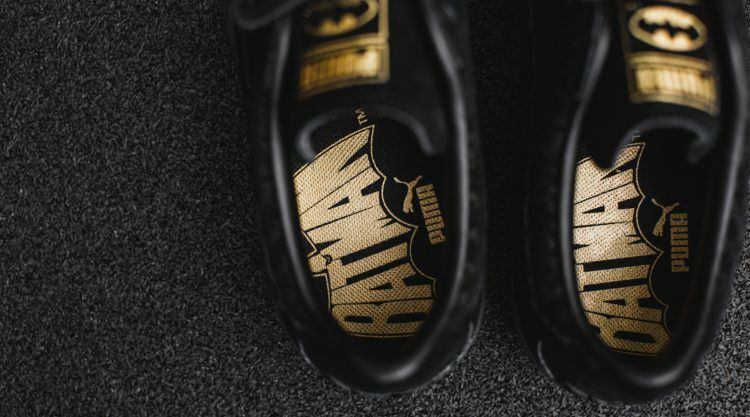 The PUMA Batman Pack goes on sale on 1st December at PUMA stores, PUMA.com and exclusive lifestyle retailers. Who says that classic styles can’t also be innovative? 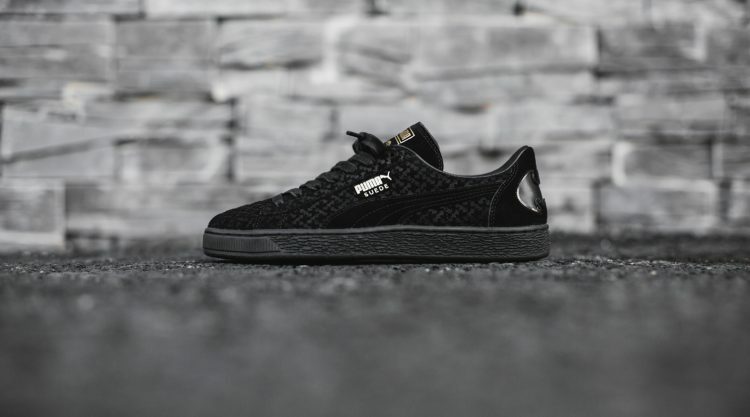 We’ve taken the classic PUMA Basket and infused it with our knitted technology. Introducing: the Basket evoKNIT 3D, a shoe with a woven material that is super lightweight, super flexible and that provides comfort and support. Originating from our Archive back in 1971, the Basket was the leather answer to the iconic Suede. Its singular, but yet clean and simple design propelled this shoe into the sneaker Hall of Fame. 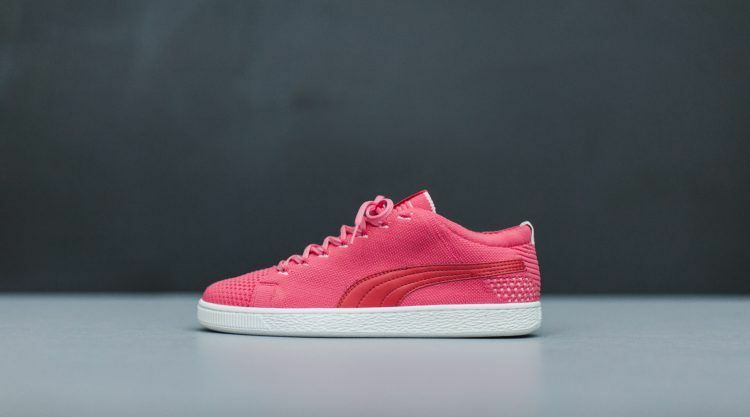 The PUMA Basket evoKNIT 3D comes in four colours: black, steel gray, blue and rose pink. 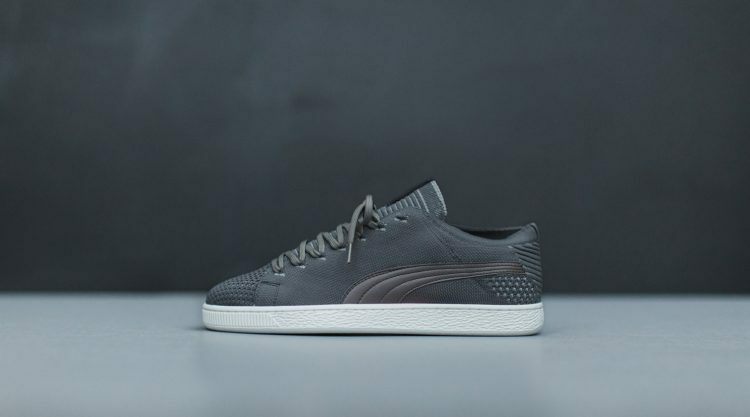 It is available globally in PUMA stores and selected retailers from the end of December 2016. 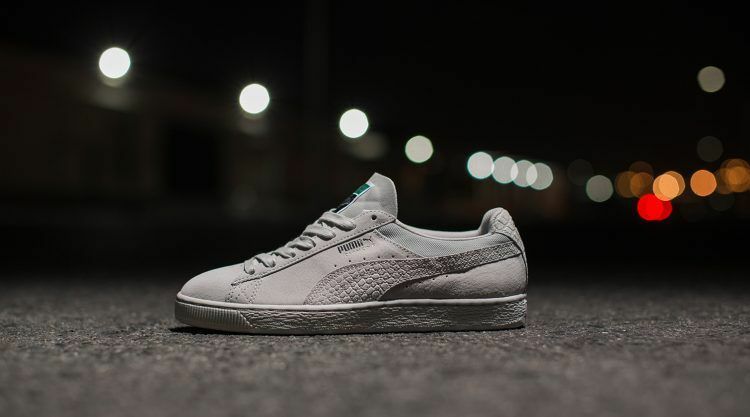 First the PUMA Clyde, now another classic style: the PUMA Suede has been brought to the sneaker scene in a special version by Diaomond Supply Co., out at global retailers since 17th December. 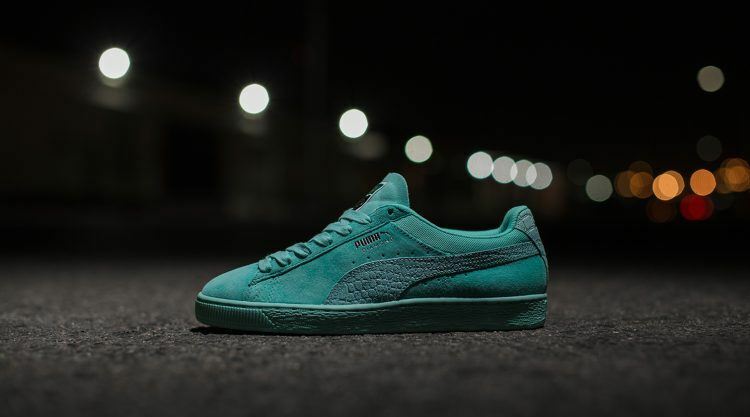 The trio pack of the PUMA x Diamond Supply Co. ‘Classic Suede’ is the second drop in our first collaboration with the West Coast skate and streetwear cult label. Together, we have selected classic sneaker silhouettes that boomed in skate culture popularity in the 90s. 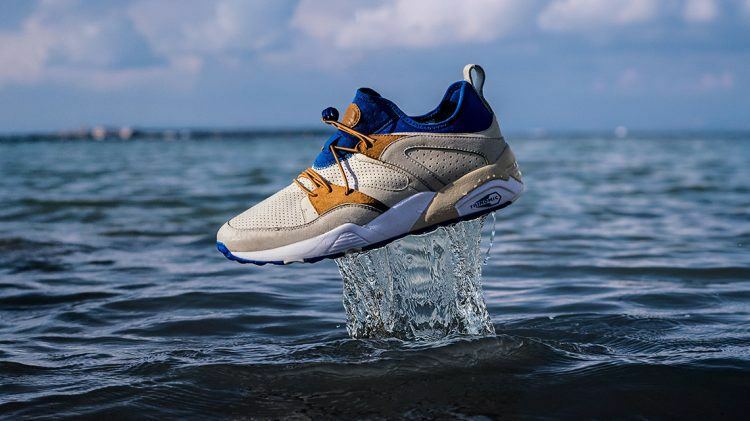 Our running sneakers from the TRINOMIC family were born in the early nineties – a historic and memorable decade that brought forward styles that became iconic and inimitable. They were designed for urban runners, who in those years were pouring through the streets outside of the athletic tracks. Now, the silhouette is beloved and collected by sneakers enthusiasts around the world. 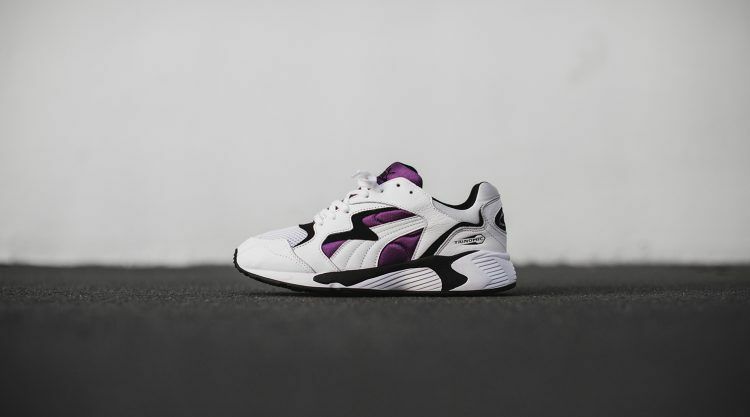 In December 2016, we’re getting on the retro with the PREVAIL, a style from our TRINOMIC archive that features the colorway of the original release and the iconic honeycomb technology well-known to sneaker collectors. 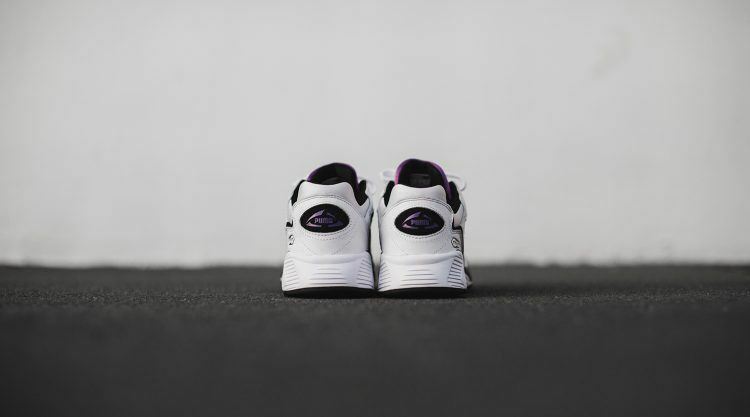 It’s available in the famed three-way color scheme of PUMA White, Purple and Black in select sneaker retailers since 10th December 2016. Also with a new version of a sneaker from the TRINOMIC family of styles, we celebrate the 10th anniversary of Sneakers76, a cult sneaker shop based in Taranto, Italy, featuring an exclusive version of the iconic sneaker, Blaze of Glory. 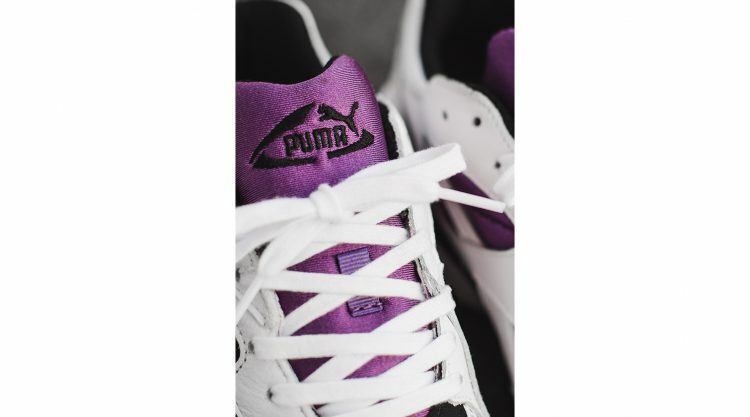 Sneakers76, an Italian store for sneakers lovers founded in 2006, has created a limited edition capsule collection created in collaboration with four international brands, including PUMA with the aim of interpreting the stories, legends and symbols of Taranto, Puglia ancient and fascinating cities. The new Blaze of Glory iteration “The Legend of the Dolphin” released on 17th December in Sneakers76 and select sneaker retailers. 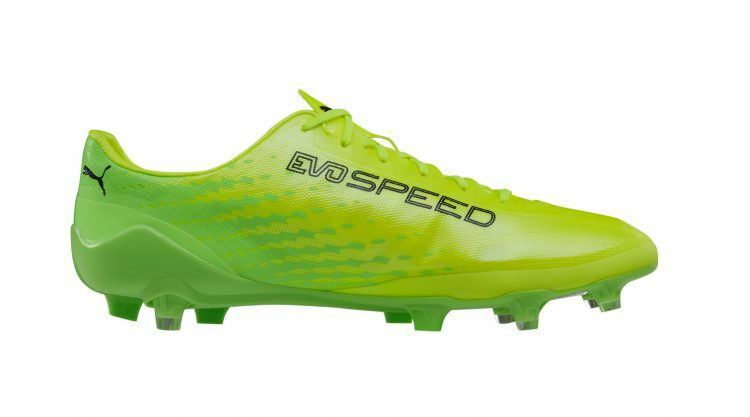 Ready for the Spring 2017 season, we have unveiled the latest colour update for the evoSPEED 17 SL-S on www.puma.com and stores worldwide. 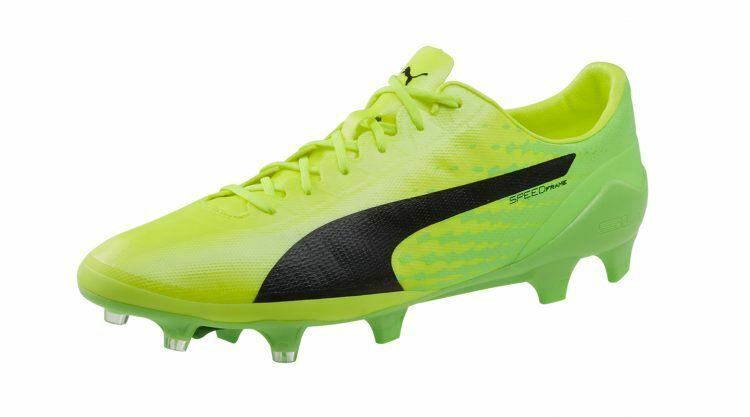 Featuring a bold green outsole and graphic pattern fusing into the allover bright yellow upper, the boot will be worn on pitch by PUMA’s SPEED stars including Antoine Griezmann, Sergio Agüero and Marco Reus. Constructed with a Japanese microfibre upper material, the SL-S feels soft and comfortable while allowing a better touch on the ball. 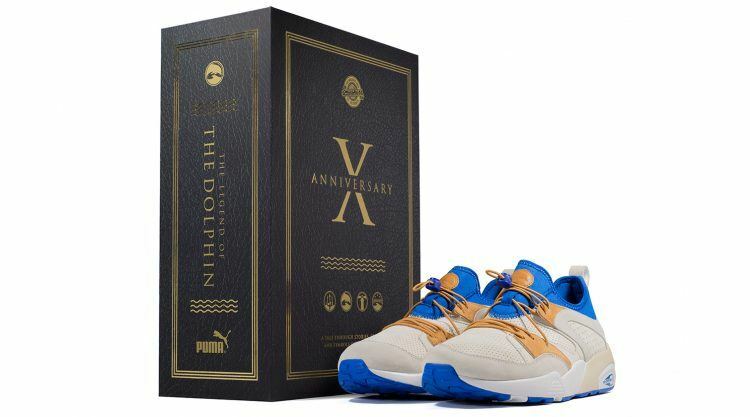 For the new Blaze of Glory iteration, PUMA and ‘sneakerhead’ store Sneakers76 chose “The Legend of the Dolphin” as inspiration. 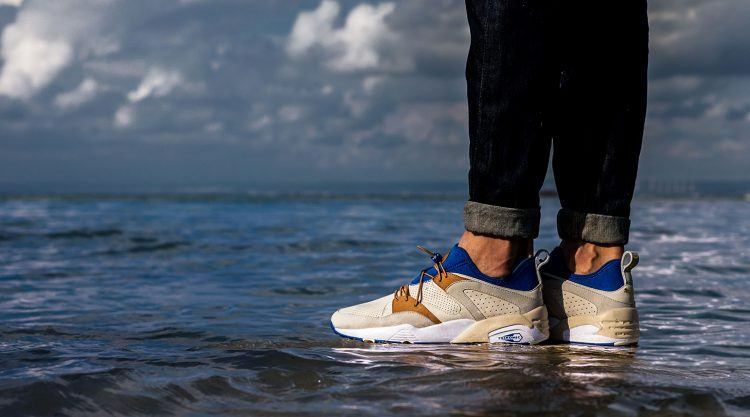 Ancient legends tell that Taranto (where Sneakers76 is based) was founded by the god Taras, son of Poseidon. During a sea-voyage, Taras was shipwrecked off the coast of Taranto and was rescued by a dolphin. To thank Poseidon for coming to his aid through that dolphin, Taras founded the city of Taranto. Today, the sea of Taranto is populated by dolphins.